Colour is fundamental to life and art: yet so diverse is it that it has hardly ever been studied in a comprehensive way. Is it above all a visual stimulus? A function of light, or a material substance to be moulded and arrayed? What does the language of colour tell us? Where does one colour begin and another end? 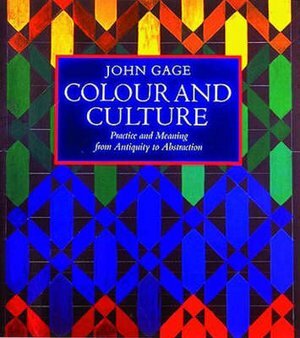 John Gage considers every conceivable aspect of the subject in this analysis of colour in Western culture. He describes the first theories of colour, articulated by philosophers from Democritus to Aristotle, and attempts to organize it or endow it with symbolic power. He unfolds its religious significance, as an incarnation of the Divine Light in the mosaics and stained glass of Byzantine and medieval Christianity, and its use in heraldry. He shows how the rainbow was made to give up its secrets and how Renaissance artists approached colour with the help of the alchemists. He explores the analysis of the spectrum undertaken by Newton and continued by artists such as Seurat, and the use of the artist's palette as an evolving scale of tones. He traces the influence of Goethe's colour theory and developments as diverse as Matisse's tones and paint manufacture; and considers theories and practices that tried to unite colour and music, or make colour into an abstract language of its own. Unfamiliar texts from all periods are featured, from the treatise that inspired Van Gogh to physicians' scales of hair and urine colours, and fresh light is thrown on the hidden meanings of many familiar masterpieces. The 20th century is often called the period when colour has finally come into its own. This is an attempt to examine what this claim means, and to suggest answers to many perennial questions about the role of colour.